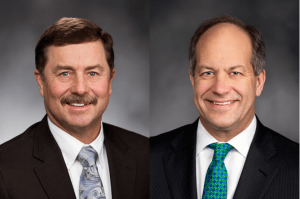 Tuesday morning at the Washington Policy Center’s Solutions Summit, Senator Guy Palumbo and Representative Drew Stokesbary offered keynote remarks on government reform and tax efforts in Seattle. 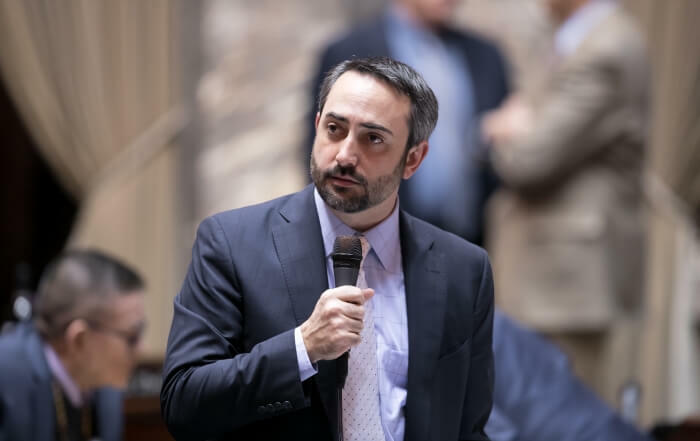 During his remarks, Sen. Palumbo, a former senior manager at Amazon and a current small business owner, discussed the recently passed Seattle head tax and some of the current efforts under way to overturn it. Over the weekend, members of the Seattle business community launched a campaign to put a referendum to repeal the head tax on the November ballot. Supporters of the “No Tax on Jobs” campaign are currently gathering the nearly 18,000 signatures they will need to get the referendum on the ballot. Based off of the recent polling numbers that show 54 percent of Seattle voters opposing the head tax, Palumbo says he is confident the referendum will succeed. “It looks like with that repeal effort… the polling is pretty good and I feel confident it will get repealed,” said Palumbo. If the referendum doesn’t stop the head tax, Palumbo says the legislature could consider a statewide ban on employee hours taxes like the bill recently proposed by Sen Schoesler. Palumbo says there is likely to be bipartisan support for this kind of legislation and says he, Senator Mark Mullet, and Senator Steve Hobbs have all expressed interest. 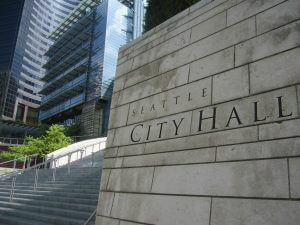 Regardless of the outcome of this individual tax, Palumbo says he is worried that the recent actions by the Seattle City Council have created a far-reaching hostile business environment. “What goes on in Seattle doesn’t stay in Seattle,” said Palumbo in reference to recent comments from Sen. Mullet. “I’m concerned about the overall economy of the state because if we stop being the innovation center that Seattle is, we’re going to have less companies coming here. As Mark [Mullet] had mentioned, we’re really trying to attract employers here — and when your main area for jobs is this hostile for business, it creates a problem.